The world's most versatile and trusted commercial distillers. Fine liquors, herbal extraction, steam distillation, cold ethanol and solvent recovery. 4 Methods for Distilling Botanicals. 6 Methods for Extracting Botanicals. Eden Labs has tirelessly worked toward developing distillation methods for botanical extraction and post-processing that yield the highest quality product while affording great versatility. Proprietary extraction method pioneered by Eden Labs. 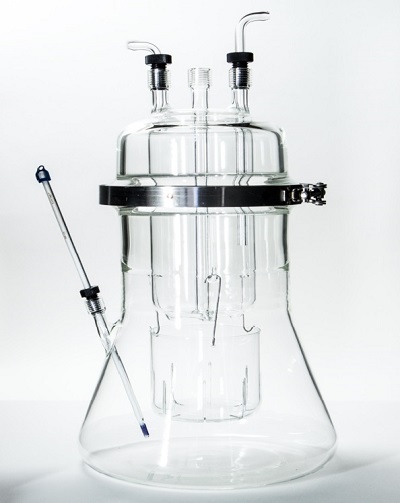 Coldfinger extractors use ethanol or other solvents to make very thick, full spectrum extracts of botanicals. Coldfinger extraction can be a stand alone process or it can be combined with an initial steam distilling step to isolate mono terpenes, or essential oils, before extracting the rest of the botanical constituents with Coldfinger. Tests have shown this process gives better yields than all other methods. In some cases, analysis of extracts made with this method has revealed compounds previously unknown to the material - leading researchers to conclude other methods either ignore or destroy certain constituents.